So grateful for the outcome and the kindness people extended, Pam! You deserve it. Angle Wings indeed! Thank you for that wonderful video. Glad you are safe and back at your beautiful beach. Hoping to find out how my house fared in North Port-streets are flooded. Could be so much worse! Love your gifts from the sea! Pam, I’m so happy you and Clark safe! Thank you for the update! Awww ….. so happy our beloved Sanibel and everyone there made it through the storm. Hope to see you soon, Pam! Beautiful! Off to wipe my eyes, hope to see it myself soon! I prayed all weekend for my beloved Sannibel and all residents and living things to be shared. Thank you for such wonderful news! Glad to see you are back at Sanibel doing what you love! Thanks for the encouraging update. Pam, so glad you guys are all right and that Sanibel/Captiva was spared. Prayers to all that have been devastated by Irma. Hope to get back down there in the spring and see you again! I wondered how the Castaways faired having places on the beach. Glad to hear that all is well. Need my Lazy Flamingo fix! The shells will return! Beautiful beach and blue skies! So happy to hear from you Pam! Wonderful that Sanibel fared so well in this storm and that you are back home again. 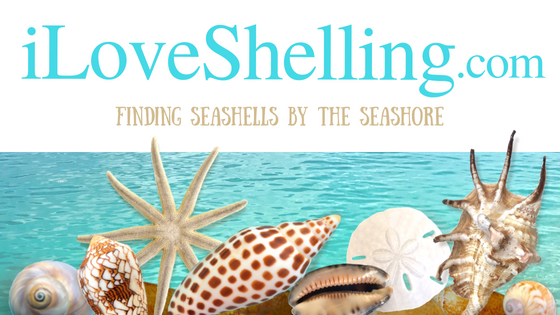 You have opened up the world of shelling to so many of us with your passion for it. Glad this storm has let you know how many of us consider you a friend and would be there for you in any way we could! Take care and hoping Sanibel gets cleaned up and back to the island paradise it is soon! SO glad to see this, Pam. Like many of you, I’ve been agonizing from afar for a week now about how our beloved Sanibel would fare in the storm. Thanks to ALL the angels for keeping everyone (including mollusks!) safe. Great to hear everyone is safe n still has a house. Glad the beach and everyone there didn’t take any bad hits. Thanks Pam for the update! Woohoo!! So glad beautiful sanibel was spared. Thank you angels!! THANK YOU FOR SHARING YOURSELF AND PROVIDING AN INSPIRATIONAL VIDEO. MY LOVED ONE AND I STILL HAVE PLANS TO BECOME LIFETIME FLORIDIANS. WE ARE THANKFUL AND GLAD TO KNOW YOU ARE SAFE AND SOUND, LET US KNOW HOW THE REST OF THE FLORIDIANS ARE COPING AND REBUILDING. AS ALWAYS WILL KEEP A TELESCOPE AND A PAIR OF BINOCULARS OUT FOR YOU. I believe our Love of Sanibel along with God’s love for His peoples fervent prayers, kept Irma from the destruction she was capable of. Delicate Angel wings…shelltastic reminder! I am to make my 1st. visit to your little Paradise Oct. 1 Hoping my trip is still a GO. So glad Sanibel is okay. The world is righted again! See you in February! So relieved! thank you Pam. You brought a tear to my eye today. You Pam are the Angel. Thank-you for sharing another wonderful video. You educate us and give so much of yourself. Thank -you for sharing our beautiful Sanibel Island. Thank you so much for sharing!! What a wondrous God we have!!! So glad you’re safe! Tears. Happy tears. Thank you SO much for that wonderful video. And thanks to all the wonderful angels that offered help. I am so very grateful that our beloved Sanibel is for the most part intact. Thank you so much for sharing the beach and the shells with us. Thank God that Sanibel was spared, my husband and I watched the coverage all weekend so sad because we could just imagine the devastation of the place we have been planning to come to for many years and it was finally going to happen for our 40th wedding anniversary, now we are elated that all of our prayers were answered, all of the residents are safe as well as the beautiful island and now our dream will come true and we will finally experience the magic that everyone talks about on the 24th, the angels were looking out for you all!!! So glad you and your family are safe and sound! I love Sanibel glad it didn’t like was predicted. I was really worried about everything on that little island. Praise the Lord!!! also very happy that the sea creatures and beach seem to have made it through this disaster relatively unscathed! My daughter and I formed “Team Canada” about four years ago on one of the Shellabaloo get-togethers, and have wonderful memories of Sanibel- will look forward to getting there again one day. Thank goodness you and Clark are back home safely. I’ve been so worried that the damage would be similar to that left by Hurricane Charlie. Irma was not merciful to many but it seems she was to Sanibel. Thank you for the wonderful video. Happy shelling. Thank you for sharing, I was praying for y’all. I’m so thankful you’re all ok. I prayed over my sanddollars I have from sanibel for all your safety and that the beach would stay in tact. I love the angel wings. God was watching over you all. We’re planning a trip for next year. I can hardly wait. God bless you all! Thanks for sharing your video. Absolutely beautiful. So glad Sanibel is in good shape. I absolutely love it there. I just teared up along with you. The angel wings look beautiful and what an amazing sentiment! I was so worried about all of you on one of my favorite islands as well as family. Its truly a miracle that there is not more damage. I am grateful … and grateful for your blog posts! You are the best! Pam – Thank you so much for the update!! I live in Kansas and the way it sounded on the news I was afraid Sanibel was going to be devastated by the storm. Angels are found everywhere, aren’t they?? Good news Pam! I was concerned about you and Clark, and your house, and all of Sanibel, actually I was concerned about all of Florida and about St.Kitts and Nevis too as well as the rest of the Leeward Islands. I am so glad to hear you are both OK, and your house is OK, and that Sanibel is in pretty good shape. I hope you do not have too much work to do — I hope you can relax now — you need some quiet time. What a fantastic video….thank you for all you do for our shelling community. So happy to see Sanibel, you and you family (including furry kids) are all safe and sound. The Angel wings are a sign…all will be fine…and you Pam are our Shelling Angel!! Thank you for posting a beach update. It is great to see living shells doing well. My heart sank last week knowing the possible outcome after Irma, not only because it has become my favorite vacation destination, but Sanibel is full of the most wonderful people – locals and vacationers. I was worried abt the people too. My next bucket list shell has been an angel wing and I smiled and had a tear in my eye at the end of your video. Someone or something was watching over Sanibel. Thank you always for ypur wonderful blog and videos. Oh Pam- thank you so much for your positive and sweet video- I cried right along with you- thank goodness for angel wings. I own at Sanibel beach club 2 and hope all is well all over our beloved island. Many prayers answered! Glad you all are well and our wonderful happy place made it through. Prayers answered!Praise God!!! Thank you for the video. Love the Angel wings. We were glued to the TV watching & praying in PA. So glad you and everyone on Sanibel are ok.
Be there in 6 weeks. I’m so glad you are safe. So far, they are only allowing residents back on the island. Please be careful! Thank you Pam for the update. Prayers were answered for you, Clark, & the little piece of heaven Sanibel. I watched the webcams & was surprised the one of the causeway was the last to go down. You were meant to find the angels wings. Many blessings. Thank you for this post! My family is relieved to know you are safe and your home mostly sound! And our beaches are alive – and well. Big hug!!! Love the Angel Wings , a big sign – nice to see all is in good shape on Sanibel ! So wonderful to see you’re out on the beach. We are supposed to be down on island on Sat but I doubt if we will be there. Maybe come down later. So happy that Sanibel was spared. Thank you so much for the Sanibel update! My husband and I have been glued to the Weather Channel, keeping tabs on our beloved island. We made a day trip to Sanibel while visiting my sister in Tampa less than 2 weeks before Irma. I’m so thankful Sanibel survived with only a few bruises. I have family and friends who live in Florida and we were so worried about everyone and everything. God heard all our prayers….it was awesome to witness Irma’s strength weaken and turn towards land! God certainly must have sent his Angels to Sanibel to protect it! They even left their calling cards for you….! Sanibel is blessed, not only by Angels, but by Pam Rambo! Thanks again for sharing. As always, I love your shelling videos. Oh, Pam, I’m so happy and relieved to hear that y’all are ok, and that Sanibel faired so well. We have a shelling trip planned to be there next May. Maybe I’ll see you on the beach! Thank you for the post. We are in Rhode Island and have worried about our Sanibel friends. Happy to hear you are OK.
You dear sweet girl, what a touching message to all who love and admire your passion for all things Sanibel. Everything needs someone to protect them…. the Sanibel beaches and all the beautiful shells of the sea are safe with you, their angel! I am so glad you were able to film this video! Just as I am writing this comment we got our power back! Thank you for such wonderful updated! Can’t wait to go back to Sanibel. Bea from Port Saint Lucie, Fl. So happy to hear that everyone is safe and sound in Sanibel – even the shells! Thank you for the update! Beautiful angels! Pam – how beautiful! Another reminder how precious life is – both human and nature – and to live each day to the fullest. This world is full of wonderful “earth Angels”, who come to the rescue. Living in the east coast of FL we were praying hard for all of you. The one beautiful thing that comes out of weather tragedies is the humanity, caring, sharing and love – everyone comes together. In these crazy times, it is this feeling that we should all remember and try to keep living by every day. You truly are an “earth Angel” Pam and we are all blessed to have you! I could feel all your emotions and shed a tear with you. Sanibel fared better than I thought it would. So happy your home is intact and you’re back and safe. We are still in GA. Can’t get into our hood yet. But I promise I’ll see you on the beach as soon as possible. Thank you Pam for sharing your beach shells and your Angel Wings with us. It has been an unforgettable week for many including all the animals and sea creatures. Sunday was my 67th birthday and I was blessed to safely spend it with my elderly mother, stepdad, and husband in a comfortable place of sheltering. Our homes and all material things can be replaced, but LIFE in any form, can not. The Angel Wings were there for a reason, for you to find, as a sign that your prayers were heard and answered. Blessings to you and your family. So glad there was not a lot of problems; We’ve been blessed many times during tornados and hurricanes, and it does mean the world, doesn’t it? God Bless You. I’m so glad you are back on Sanibel and that you, Clark and the kitties are safe and well. I’m sure there is a lot of clean up to do but the beach at least looks pretty normal – and it is fantastic to see all the live shells. I held my breath all weekend and was glued to the weather channel – and web cams while they lasted. The true angel is you! Thank you for everything you do for all of us all over the world! God Bless. Dee and I have been watching and hoping for good news about our favorite shelling getaway. Thanks for letting us know that you and the beach creatures have survived. Hope to see you in October. Thank you for sharing! Glad you and Sanibel are okay! My aunt and uncle are no longer with us but Sanibel keeps their memory alive. That just made me tear up, angel wings are there because our higher power watched over our wonderful piece of heaven on earth! So glad you are ok and the island is ok. Thank you for the wonderful video to show the answers to many prayers! I hope everyone who visits soon is as respectful of and grateful for the living shells and not greedy and taking them. The beautiful island has brought joy to so many as we are praising Him for sparing it from serious damage and destruction! Sis and I had double trips planned this year. Oct and Dec. So thankful to think they can be a reality! We have not been able to come twice since Shellaballo 3. All of us blessed. Angels indeed! Thank you. Oh Pam, thank you so much for letting us know. I was very worried about you and Sanibel. Teared up with you!!! Hope you can get back to normality soon. Big hug from Germany and I hope to see you in November. Thank you so much for taking the time for this post. I have been so worried about you, all residence of Sanibel and Sanibel its self. I am on a rental boat on the Erie Canal. We do not have TV so it has been so hard to get news. Hope you have things back to normal soon. That was so good to see the beaches looking beautiful…so thankful your island was saved…we visit every summer for three weeks…did you ever walk the beach with your two golden retrievers some years ago? You look very familiar? I teared up with you. God is good. So thankful to hear that you and Clark survived as well as our beloved Sanibel Island. We have been there so many times that we feel like it is our second home and we worried so about you guys and of course the others who were displaced because of the storm. Thanks for your post! Our prayers continue to be with all of you in the days to come as the clean up begins. Oh, it’s so good to see your smiling face, Pam, and to see beloved Sanibel still standing after the storm. Prayers were going up daily for protection for you and Clark, for all Sanibel/Captiva residents, and for all of Florida. I’m so thankful for the safety of all, and minimal damage to your area. I LOVE that you found angel wings upon your return. The shells of Sanibel are treasures, but you guys are the BEST treasures! I can’t wait to come back and support Sanibel! Thank you Pam for sharing your beach shells and your Angel Wings with us. It has been an unforgettable week for many including all the animals and sea creatures. Thank you Pam for sharing this wonderful post. The Angel Wings are a sign that the Angels were watching over all of us in Florida. It has been a terrible week for many including all the animals and sea creatures. But it could have been alot worse. So happy to here you are safe. So glad to see the video of Sanibel and know the residents are safe with minimal damage. Thank you for sharing and thanks to our mighty God for taking care of it all.Love all the shells. Sooooooo happy and thankful that you and the island are doing so well!!!! How perfect to find the angel wings!!!!!! Love!!!! Thank you for sharing, Pam! Love to see this, brought tears to my eyes – happy, joyful, thankful tears. For the inhabitants, visitors and all lovers of beautiful Sanibel Island, Florida – having the best shelling beaches on the planet – these are wonderful and hopeful signs. After Hurricane Irma, life holds on and survives. We are so thankful that you and all of Sanibel and Captiva came thru the horrible storm in such good shape. God has indeed answered many prayers. We hope to be there in late October to visit our friends at Jensens’s if there is power and water to help with any cleanup that we can. So glad the damage was not worse! The prayers continue! Yeah!! Thank you so much for the beach report. I have been trying and trying to find something/anything on the Internet. How wonderful that there is still LIFE there on our lovely beaches. BTW, you made my cry (with your sweet angel wings!!) all of the way out here in Idaho! Can’t wait to get back to our little slice of “heaven on earth”!! See you in a few months!!!! Pam, I was very touched by your video. It was very sweet! I am happy to know that you and Clark and the kitties are doing well and that Sanibel is as beautiful as ever! Pam , so glad everything is ok with you and Sanibel. I think you had a lot of angels looking out for you. One of the newest ones is probably my sister-in-law Susan who died unexpectedly on Saturday. I’m sure she was worried as she had been visiting regularly since about 1967, and she spent her honeymoon there in 1977. Her heart just stopped Saturday. When I heard about her passing I even thought the first thing she would do is check on Sanibel. What a coincidence you came up with angel wings! Thank you for this courageous video. We love Sanibel and have held our breath for everyone. We are in the Midwest and far from hurricanes, but grew up on shorelines. Take care, keep on shelling!! Thank you Pam for the Sanibel Update. I was so concerned for one of my beloved places on Earth. So happy to hear all will be ok . In My thoughts and prayers..
Prayers answered by the shell gods who smiled down on our beloved Sanibel and protected her. Angel wings indeed. Thank you for sharing Pam! Update on electricity and supplies? My cousin and I are suppose to come next Monday and we are on the bubble as to cancelling or going forward with our plans. We will be soooooo disappointed if we have to cancel our trip. We’ve been looking so forward to it. Thank you for taking the time to show us in such a touching and heartfelt way that our hopes and prayers over the past days and nights were answered – that our Florida friends, both great and small, and our beloved islands were spared. I will be back down again in about 30 days for a much needed visit after the death of my husband this summer, and I am grateful to see that everyone and everything in my little piece of heaven on earth is whole and happy. So grateful. Hoping to meet you some day, and to fulfill my dream of retiring to SWFL very soon. Thank you for sharing your heart, and for all the things you have done over the years to keep us who live too far away connected to our beloved Sanibel and Captiva. You are our angel. So grateful that Sanibel dodged the brunt of this storm. What a wake up call that we must care for our planet. Very releaved to hear that Sanibel was not damaged during hurricane Irma ! The beach looks lovely and I pictured myself walking and shelling like I did for 7 days on our trip 2 years ago , such peace ! God is good ! us. We wish the best to our fellow Floridians. Thanks for the great post. It is great to see that u r ok. I hope u can relax a little & enjoy the beautiful beach & its wonderful creatures. See u in January.